Our leadership team features compassionate people who love animals and aspire to make a life-saving impact within our community. We are a group of individuals who commit our time and skills toward creating a no-kill Baytown, where at least 90% of the homeless pets within Baytown's local municipal shelter are saved from the risk of euthanasia. Keys to achieving this are: sustainable community-based programs and services, collaboration with a network of local and national animal welfare organizations, local legislation and political advocacy, and rallying the support of our community to create a city that caters to the needs of pets and people alike. Jay Garrett Jr. is the founder, and currently serves as the President, of A Life to Live, a nonprofit animal welfare organization born from passion with the mission of bringing no-kill to the City of Baytown. Since the organization was established in August of 2014, A Life to Live has successfully implemented a local no-kill resolution and has been an integral part of increasing the municipal shelter's live release rate by 40%, saving thousands of shelter pets. "When I established A Live to Live in 2014, the City of Baytown was euthanizing more than 80% of the animals that entered the animal control facility. It's been through the recruitment of like-minded, pet-loving and passionate people that we've been able to implement programs that focus on life-saving sustainable solutions for pets and people." Jay is a graduate of the University of Houston where he studied business management, architecture, entrepreneurship and obtained a Bachelor of Science in Construction Management. Jay worked in construction as a Project Manager, Project Engineer and Superintendent for several years while also serving as the Executive Director for A Life to Live as a volunteer from 2014 to 2018. Volunteerism and philanthropy have always been of great importance to Jay. In high school, Jay served as the Lieutenant Governor for Key Club for the Texas-Oklahoma District and was awarded the President's Volunteer Service Award, signed by former President Barack Obama, for his contributions to the community through volunteerism throughout his high school education in various clubs and organizations. Jay now serves in local civic and professional organizations in Baytown and holds a position on the City of Baytown's Animal Control Advisory Committee where he is actively working to implement animal welfare legislation to benefit the lives of people and pets. Jay was recently named a finalist for Citizen of the Year and was recognized as a top leader in the local 24 Under 40. In the summer of 2018, Jay's work in animal welfare, and his deep passion for saving lives, allowed him the opportunity to fulfill the role of Manager of Life-Saving Operations for Best Friends Animal Society. Jay is working within the largest shelters in the State of Texas to implement lifesaving solutions and no-kill programming in an effort to help lead the nation to no-kill by 2025. "After pursuing a practical and professional career in construction, it wasn't long before my passion for animals came full-circle. Similar to when I was a child, I spent a lot of my free time in college visiting pet stores and shelters. When I dug deeper into researching animal welfare movements and life-saving that was taking place throughout the country, it led me back to my home-town shelter. I pulled the statistics and ran the numbers, and I was in immediate disbelief – 92% of cats and 68% of dogs were being euthanized. In that moment, I knew that I could start something that would make a difference; no matter what obstacle, I was going to start saving lives." "I love saving lives! I'd love to tell an awesome or shocking story about my experiences and how I chose to become a big part of A Life to Live, but there really isn't a defining moment in my life that led me to animal rescue. There weren't any profound events that forced me to love and care for cats and dogs in the way that I do. Instead, there were many, seemingly insignificant, yet, intricate moments and the ever-changing twists and turns of life that shaped me and allowed me to fully accept what I always believed I was made to do. I was made for loving animals! I didn't choose to save them; they chose me. Each and every one of them that knocked on my door with broken bodies and empty bellies, they chose just the right place to show up. As the Program Director of A Life to Live, and the Founder of Good Felines, I interact closely with the animals that enter our program and the volunteers and fosters that save their lives - that has changed my life for the better!" Rox Ann recently retired from her role as Director of Operations with First Choice Technologies. In this role, Rox Ann directed multiple teams that provided excellent customer service and technical support. Rox Ann was in Telecommunications for 25 years and held positions as Customer Service Manager, Account Manager, Director of Operations and Interim-President. Rox Ann is no stranger to community service through non-profit organizations with having spent 10 years in the Optimist Club of Arlington where she served as Vice President and President. Rox Ann also served on her Church Board of Directors as Vice President. On the personal side, Rox Ann is a wife and mother of two daughters, two step sons and five grandchildren. She has three dogs and two grand-dogs. "I chose to pursue my passion for helping homeless animals. It breaks my heart to know that there are so many lonely abandoned and unwanted animals left at the shelter. I am so glad I stumbled upon one of A Life to Live's local events. I was hooked and knew I needed to get involved with this organization. It gives me joy to know that we are saving the lives of so many animals. If giving my time and talents helps save just one animal, then that is one less animal in the shelter. They are all God’s creatures and deserve a long and happy life. I would encourage anyone looking for something missing in their lives to volunteer. It’s not only doing something good and giving back to your community, but it’s great for the soul. I believe every animal deserves a warm home and someone to call their own. These animals are not pets to me; they are family." Eric retired in 2015 after working 33 years in the petrochemical industry for ExxonMobil. During his career he filled roles as Mechanical Engineer, Technical Leader and Supervisor locally and in world-wide support positions. Eric grew up in Baytown and lived most of his life here. After graduating with a Bachelor of Science in Mechanical Engineering from Louisiana State University in 1981, he and his wife Aileen married and moved to Baytown and have lived here ever since. They have three grown children, Christopher, Danielle and David. Pets have always been a big part of Eric's family life. His family had dogs during the majority of his years growing up. As an adult, dogs and cats have been a part of the family ever since Eric and Aileen bought their first house. In 2003, Eric and Aileen began fostering dogs in addition to having family dogs. They fondly remember each of the fosters that have passed through their home on the journey to their forever homes. Dr. Adrian Knowles is a new Houston resident. Originally from Tampa, Florida, she received her veterinary doctoral degree at the University of Florida. While there, her studies focused primarily on shelter medicine and animal cruelty. 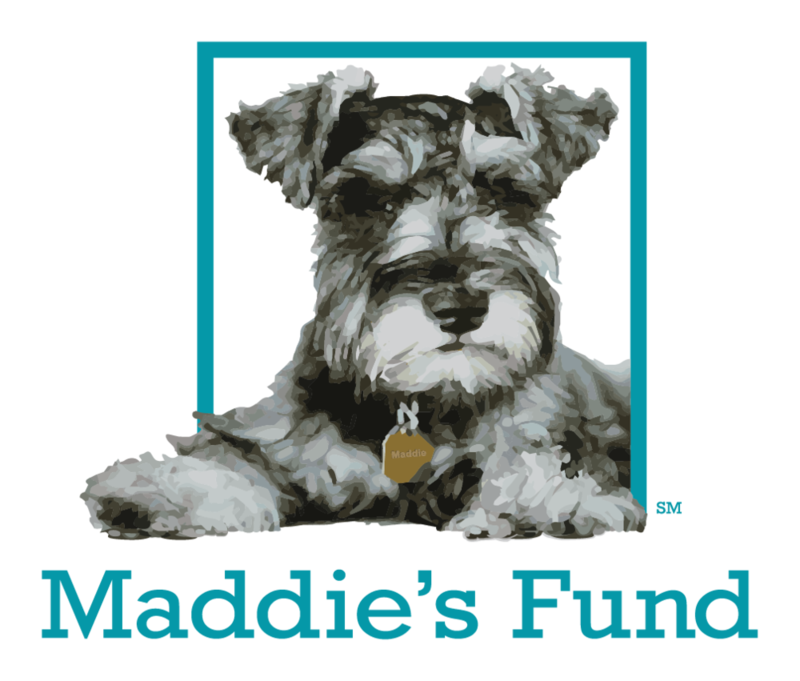 She was very involved in the University of Florida Maddie's Shelter Medicine Program where she also served as foster coordinator for two years. In addition, she had the pleasure of interning at various shelters and rescues, including the Jacksonville Animal Care and Protective Services and the ASPCA in New York City. She also participated in a monthly TNR program at the University of Florida. Since 2017, Dr. Knowles has operated as the head surgeon at the Houston branch of Emancipet, a nonprofit low cost veterinary clinic. Recently, she adopted one of her patients, a kitten named Russell, who is loving his new home. Dr. Knowles has enjoyed working with A Life to Live, and she looks forward to furthering A Life to Live's life-saving success by serving and supporting A Life to Live's efforts in any way possible. "My love for animals started at a very young age; I’ve always been passionate about them and had a strong relationship with every animal I came across. I find it very hard to walk by any animal without touching or meeting them! I have always felt drawn to them because they are the most selfless and pure-hearted creatures on this earth. They never judge, and only ask for love and affection in return. I wanted to join A Life to Live because helping save animals makes my heart so full. Their lives are so short lived and I want to be a part of making sure they receive every ounce of happiness they deserve. I wish for all these sweet animals to have a home where they are safe and cared for. I’m thankful that every day I get to come home to my four-legged love, Enzo, who is always there for me on the good and bad days to put an instant smile on my face and fill my heart. The unconditional love that he shows me day in and day out inspires me to help others find their fur-ever friend!" "My family has always had pets while I was growing up. We had ferrets, guinea pigs, hamsters, cockatiels, cats and dogs. I've always loved having pets at home to care for and play with. When my sister became involved in animal rescue, that's when I realized how many animals are in need of a loving home, and I became aware of the work that needed to be done in our community. Working with A Life to Live gives me the opportunity to have the best of both worlds; as a foster, I get to invite homeless pets into my home and save their lives, and as the Community Cat Coordinator, I get to be an advocate for feral cats by educating the community and assisting with ending the continued reproduction of homeless community cats through TNR and SNR." "Serving pets and the community has been my passion for more than 6 years now, ever since I started a local nonprofit called Baytown Animal Food Pantry. For years, I've been committed to serving senior citizens that are a part of the Meals on Wheels program, most of which are on fixed incomes and homebound or disabled, and need our assistance with providing food to their furry friends. Seeing the smiles on the resident's face, knowing that their pets are going to be cared for in their home with a belly full of food for another month, and realizing the life-saving impact that we have on these families in need, is what drives me to do more. Through my involvement in animal welfare in Baytown, I came across A Life to Live and immediately resonated with one of their impact statements, "... life-saving programs that revolve around the goal of saving lives and keeping pets and their people together." For years, I've kept in contact with the team of leaders. Now, I'm one of those leaders. I had the opportunity to jump on board to run the Food Bank Program where I'll be able to significantly multiply the number of people and pets that we serve through monthly food disbursements to family's in need, ultimately saving the lives of hundreds of pets throughout our community and adding real value to people's lives, by keeping them and their pets together, for life." "I love the passion behind A Life to Live and the strive for change in our community. After seeing all the accomplishments and dedication the organization has and its mission to saving lives, I knew I wanted to be a part of that. When the opportunity arose to volunteer with such a passionate group of individuals, there was no way I could say no! I love that I get to use my business and organizational skills, my creativity and love for event planning and decorating to benefit this charitable cause. We bring our ideas and experiences to the table to further the mission of the organization through the planning and coordination of events and fundraisers to raise money to fund our life-saving programs to save more homeless pets." "I loved anything involving animals when I was growing up. If a movie or show had animals in it, I would watch it! Animals bring a smile to my face and I always wondered what they were thinking. I love to read and hear stories of how people come across a rescue to then have them be a part of the family. That is what happened with A Life to Live trending on my Facebook page. I always looked forward to another post about a happy adoption along with a happy photo before they go off to start their new life. A Life to Live welcomed me as a volunteer and foster. In a short matter of time, I was saving more lives than I had ever thought possible by working with A Life to Live to rescue dogs from Baytown Animal Control. When I volunteer, I get to see, with my very own eyes, a rescue pet start their brand new lives as they exit the doors with their new family after being adopted. It's truly an amazing experience and I look forward to continuing to save lives with A Life to Live in the future." I have loved animals for as long as I can remember. My family had several animals when I was young, including ducks, chickens, pigs, cats and dogs, and I got to love and care for them all. Whether it was raising awareness of their mistreatment, attending Empty the Tanks rallies at SeaWorld, or just gathering and donating supplies to local shelters, I have always felt a call to help animals in any way possible, and A Life to Live has given the opportunity to do so. I am so thankful that I have gotten to meet and work with such an incredible and compassionate group of people. "Throughout my life I've always had a pet. I've had dogs, a horse, cat or kittens, rescued raccoons, possums, fish, hampsters and even a ferret. As an adult, my heart has always gone out to unwanted, abandoned and orphaned animals. I'm especially drawn to the special needs animals. Joining A Life to Live has catered to my passion for saving the most fragile lives and it's given me more opportunity than ever to continue to do what I love. I can't save them all, but each cat or kitten I foster makes a world of difference for that animal. I'm very passionate about what I do and I feel very blessed to be part of such a wonderful organization." "I have always loved all animals. I was horrified as a child to learn that animal shelters didn't really mean that's where animals were sheltered. I adopted a dog from the shelter as an adult, but I still remember the one I liked but couldn't take. Years later, after I lost my old dog, I decided to stick to cats. The Baytown shelter had an adoption event and I saw a sweet, well-behaved brindle lab-mix named Precious. She was only 6 months old. It made me sad to see such a young dog owner surrendered, especially with that name. I was lobbying for a friend to take her, and considering adopting her myself as a backup plan. I'd been in contact with the shelter about her. But, due to an email mix up, she was put to sleep. I was horrified to learn that innocent soul was gone. The next time a rescue friend posted a dog whose time was up on Facebook, I drove to meet her. She went home with me soon after and she now adores my cats and helps socialize my foster kittens. After I retired, I saw a post on Facebook for A Life to Live and the need for kitten fosters. I didn't think I'd be able to foster, since one of my cats is FIV+, but I learned all that's needed is a spare room and time to love some extra kittens. I'm delighted to be able to work with a group that's making a difference in the lives of animals in Baytown." If you're interested in joining our team of volunteers, start by completing our volunteer application. We're always looking for passionate leaders within our community who are committed to our life-saving cause. The more people we can get to work toward a common goal, the more successful we'll be, and the more lives we'll save.